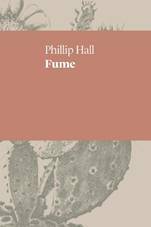 Whether or not Hall himself meets Nana Miller’s challenge of humility is not for this reviewer to say, but Fume’s collection of poems (with some accompanying commentary) clearly demonstrates the poet’s determined attempt to respect and create with and alongside the First Australians he lived and worked with, and later joined as family, seeking and being granted permission for much of the language he uses and the stories he tells. The poems are peppered with dedications and a poem like ‘hand (pay) back (out)’ (64), a gutting poem of colonial slaughter and ‘Native Title crows’ (65), was written after a request by Nana Miller. Indeed, some of Fume’s strongest content comes from the group poems of Diwurruwurru (Yanyuwa/Garrwa for “message stick” (98), a name Hall uses with permission), a First Australians storytelling group begun in 2012, which appears along with Hall’s commentary at the end of the volume. Hall’s focus on respect throughout Fume, and his anger at the racism that exists so bluntly in and around the community, places him a long way from the young boy he describes as living in the Blue Mountains of NSW, fantasising of being ‘a lost Aboriginal, defiant, living in Eden … with almost no sense of the cruel barbs of colonialism’s crooked paths’ (13). While Fume shows a poet seeking ‘to honour the First Australians and the Northern Territory’s Gulf of Carpentaria and to interrogate colonialism’s twisted and violent paths’ (20), it’s also a personal journey: ‘I also try to write myself back to health’ (20). Evocations of people and community are vividly summoned but often feel inevitably disrupted by the cruelty of ongoing colonial trauma, as in the shattered nights in ‘Borroloola Blue’ (26) and ‘Lullaby’ (36-37), and the gutting final lines of ‘Royalty’, that disrupt the beautiful portrayal of a gathering at ‘...Jayipa / a catfish hole lined / with paperbark and river gum / and those gleaming quartzite outcrops’ (68). This idea reappears in the ‘bush ballad ‘Fallen’, noting that ‘For centuries exotic trade flourished / Out where the slain would lie’ (54). But language also offers an opportunity in Fume, with ‘Aboriginal English’ described as ‘a consequence of colonialism’ but also ‘a glorious linguistic invention that testifies, powerfully, to cultural resilience and pride’ (88). It is this resilience and pride that Hall hopes to highlight in the storytelling group Diwurruwurru, and he excitedly describes the process of working as a group to ‘pronounce and spell Aboriginal English and Language words’, which are not standardised here (88). In ‘Concourse’ he writes, ‘true god, we really are an arterial kaleidoscope / of silt-laden language’ (30). As Fume progresses and the impact of Hall’s own trauma becomes clear, it’s important to note that Hall never equates his own personal trauma with that of First Australians. Hall’s clear positioning of himself in relation to the First Australians he writes with, and about, makes it obvious that he has no interest in taking the place of Aboriginal voices; but it’s important to note that Fume’s concerns are, of course, not unique and that numerous First Australian poets have addressed these issues through their work. Hall’s writing captures the personal perspective of someone who doesn’t identify as a First Australian in a specific time, place and circumstance, but that shouldn’t divert attention – and nor does it intend to – from the range and diversity of poetry produced by First Australians. Hall does not present us with the ‘Eden’ he fantasised about as a child but, along with its political anger and its encounters with a near-tangible trauma, Fume nevertheless rewards its reader with vivid character portraits and evocative glimpses of Country in and around Borroloola. Kit MacFarlane is a lecturer in Creative Writing and Literature in UniSA’s School of Creative Industries.